Children and young adults challenge us to think differently, to take a new perspective. Artists do the same. 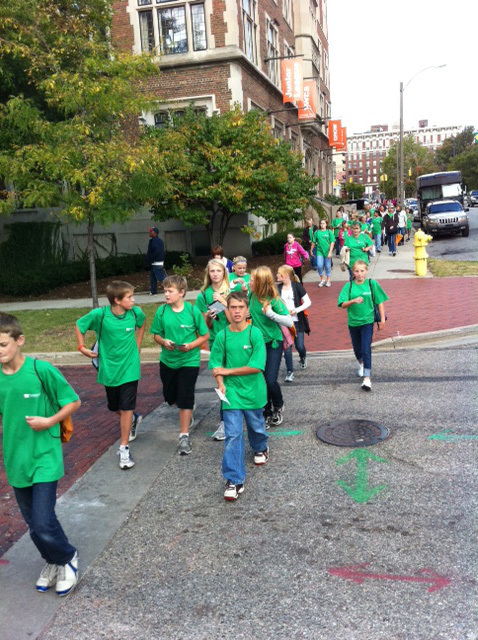 Today is the first of two ArtPrize education days. These days are creative catalysts, combining artists, their installations and the youth of Michigan and challenge them to question and investigate art. This group established ARTcation, a community-wide collaboration between art and humanities organizations that uses downtown Grand Rapids as a learning laboratory. By combining their resources and partnering with ArtPrize, we provide students with free programming that supports multi-sensory learning experiences and active curriculum investigations. ARTcation is presented by PNC Bank and is coordinated through the Grand Rapids Community Foundation and the Arts Council of Greater Grand Rapids.